That consummate plantsman, David Fairchild, wrote in “The World Was My Garden” of his dislike of variegated plants. He commented that they often looked like bits of trash in a landscape. But Fairchild might have changed his mind about variegated plants if he had seen a couple of spectacular and quite elegant variegated vines: golden chalice and stephanotis. 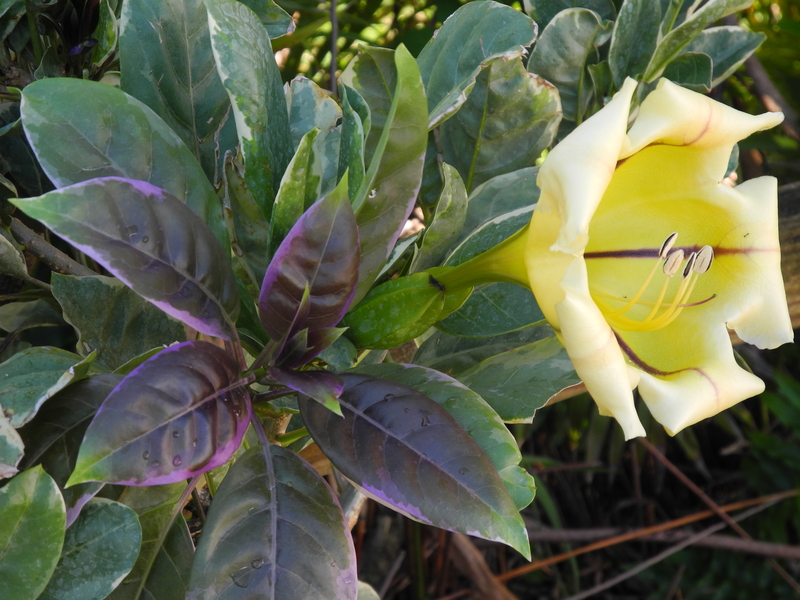 Big yellow blooms the size of softballs make the golden chalice (Solandra: Zones 9-11) a standout, but combine that with creamy-white and soft green foliage tipped with purple emerging growth and you’ve got one stunning vine in the variegated example. This substantial woody vine will climb, though it has no clutching tendrils as do some. Provide a sturdy support for this one, along with full sun with afternoon shade, and a compost-rich, well-drained growing medium. Variegated stephanotis (Stephanotis: Zones 10-11) produces drifts of sweetly-fragrant, waxy white blooms intermittently in warmer months. With no clutching tendrils, this evergreen vine can be trained up a support with ties to keep it in place. 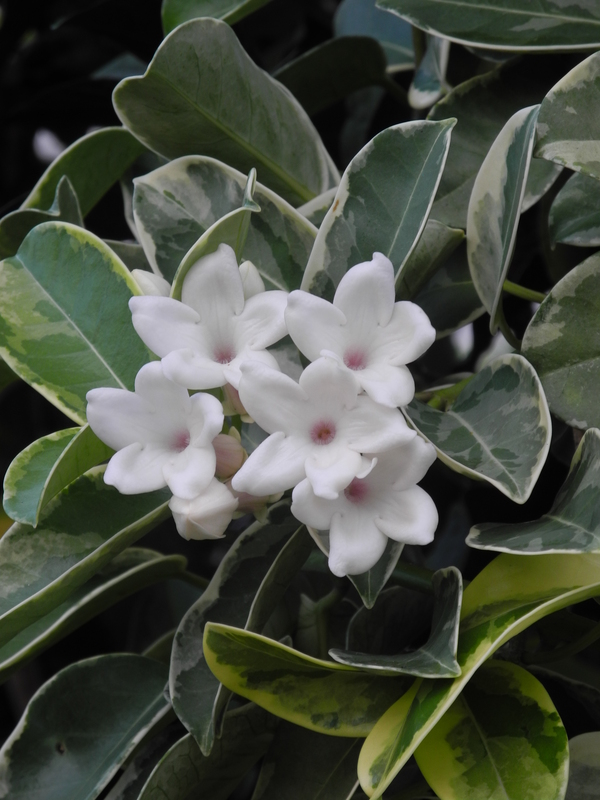 Variegated stephanotis has creamy white and pale green foliage. Situate this vine with slightly filtered sun exposure, and provide a well-drained growing medium for best performance.